UPDATE: Brian no longer has any copies for sale and is not planning to reprint the book. For those that have stepped foot in the majestic Colo River gorge — with its rugged, impenetrable walls — it is hard not to have your imagination captured by some of the most truly rugged wilderness in the Sydney region. Based on extensive personal walking — along with the details of Bob Buck and Geoff Daley’s iconic 70’s sketch map of the region produced for the NPA — Corlis provides brief but precise details of more than three dozen passes allowing access to the most rugged parts of the river. The booklet is not designed for the casual walker — with most of the details kept scant — but for an experienced bushwalker interested in delving into this region it will provide invaluable assistance with route finding and trip planning. There is also information on the level of difficulty and exposure, with enough insight to ensure you aren’t left with a freaked out beginner frozen on an exposed cliff-edge. The self-published booklet, which runs to just 32 pages, also contains excerpts from the relevant topographic maps with navigatable routes marked on them to reduce possible confusion when transferring the limited written descriptions to what is seen on the ground. Corlis also includes a range of suggested walks — mostly of just a day or two — but leaves plenty of scope for walkers to imagine longer and more adventurous explorations of the area. 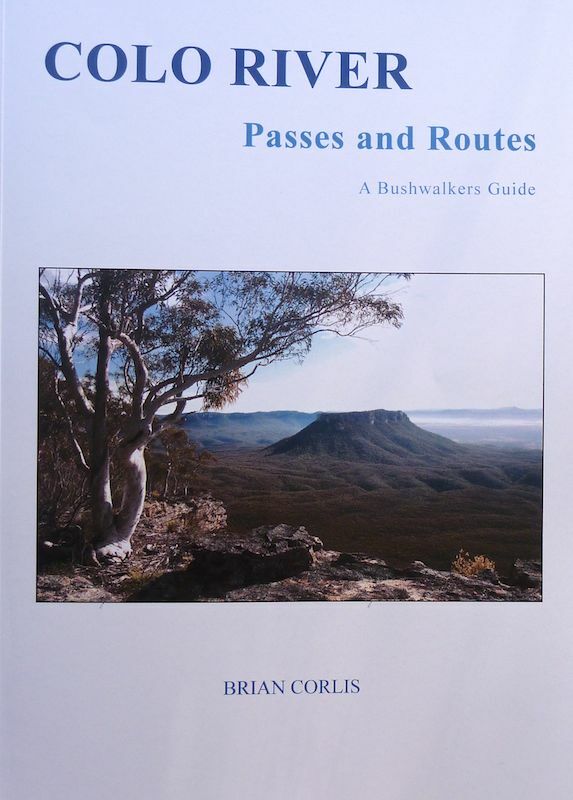 While the price is a little on the steep side, given its limited size, it is the most definitive and accessible guide to bushwalking in the more remote and difficult areas of this part of the Wollemi.